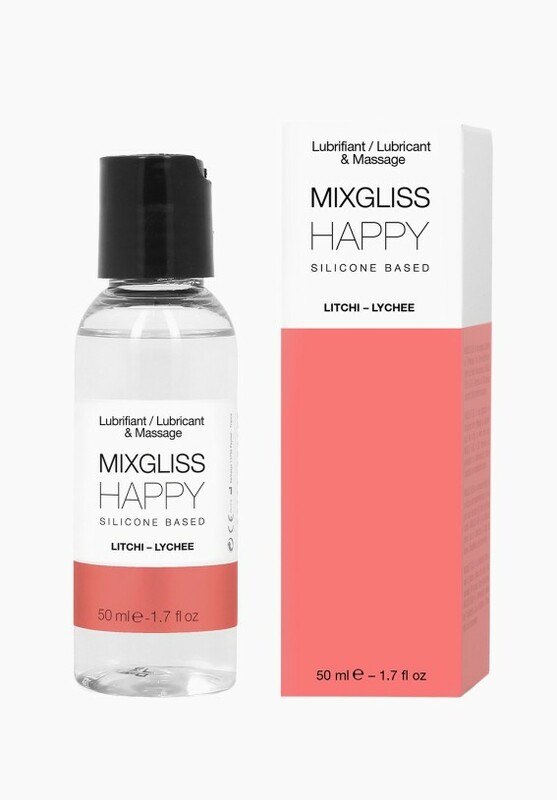 MIXGLISS HAPPY promises you a sweet and kooky bliss, thanks to the impertinence and cheerfulness of its litchi fragrance, lightly sweet and sour. With its smooth and super-slippery texture, you will glide passionately toward ecstasy, to your greatest pleasure. MIXGLISS HAPPY an elixir of happiness! Cautions in case of contact with eyes, rinse with water. In case of allergic reaction, stop the use. Keep away from light and heat.